The Fendi bench 3d model recreates the look of a family heirloom with beautifully carved pickled oak frame and timeless cabriole legs. Exuding Country French charm, the Fendi bench recreates the look of a family heirloom with beautifully carved pickled oak frame and timeless cabriole legs. 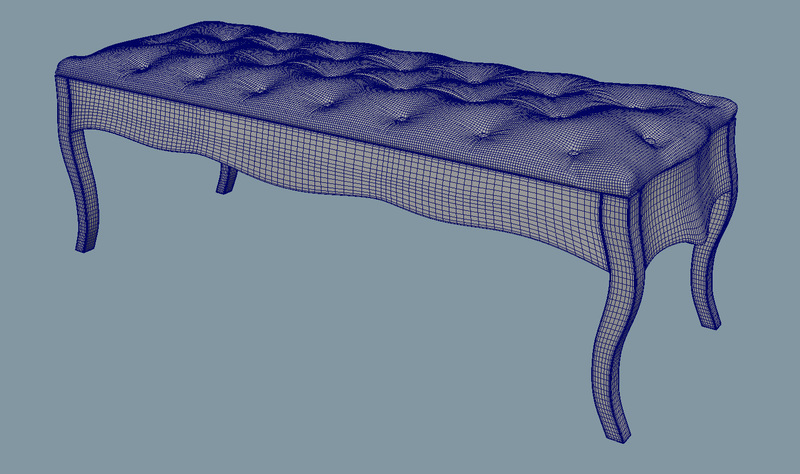 Download this luxury bedroom bench in format OBJ and FBX. Shading and Textures are not included.